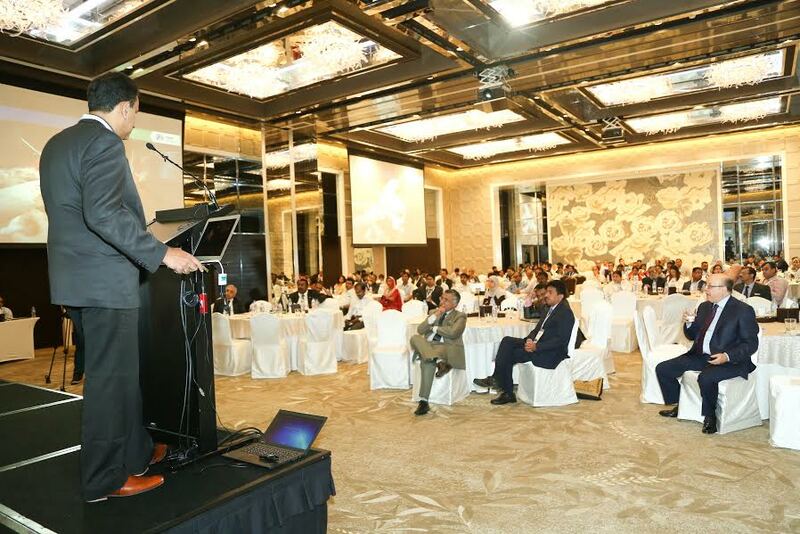 The international conference, accredited by DHA, saw participation from 200 leading international cardiologists and cardiothoracic surgeons who introduced new guidelines on heart failure management, onco-cardiology, cardiac therapeutics and hybrid treatment. As per WHO, around 30% of deaths in UAE are attributed to cardiovascular diseases. One of the key priorities as per UAE Vision 2021 National Agenda, is to reduce deaths from cardiovascular diseases, from 297.6 per 100,000 population to 158.2 per 100,000 population. Over the last month, doctors at Aster Hospital- Dubai have received 120 cardiovascular patients and Aster Clinics have seen 2400 cardiovascular patients in total. Dubai, United Arab Emirates: With an aim to introduce doctors from the region, to the latest techniques in the field of cardiovascular treatment which will help them optimize patient solutions, Aster DM Healthcare brought together international experts from Aster Medcity, Aster MIMS, Aster CMI, Aster Jubilee Clinic- Dubai, Michigan University-USA and the UAE, at the international CME conference entitled ‘Newer Therapeutic options for Cardiovascular Diseases in 2016’. The experts highlighted that, new treatment or surgery mechanisms like onco-cardiology, minimal invasive surgery, hybrid treatment of aneurysm, novel techniques in lowering cholesterol or cardiac therapy, can go a long-way in saving lives and improving treatment options for patients. “Sedentary life-style in UAE, smoking habits, unhealthy eating, obesity and diabetes, are considered as key risk factors for heart diseases. We often come across patients who have been suffering from high-blood pressure or hypertension for years without any visible symptoms, deterring diagnosis. Prolonged undetected high blood pressure, cholesterol and hypertension can lead to complications associated with cardiovascular diseases like heart attack or failure, heart valve blockage, arrhythmia (abnormal rhythm of the heart) or stroke which can be life-threatening,” said Dr. T.M. Jaison, Lead Senior Specialist Cardiologist, Aster Jubilee Clinic Dubai. Through series of lectures, workshops, panel discussions and interactive sessions the experts debated the latest advances in treatment and surgery techniques. The meeting provided the opportunity to interact with leading experts in the field and saw immense enthusiasm to know more through engaged discussions, thought provoking questions and answers. The Dubai Health Authority (DHA) accredited the conference with 5.25 CME (Continuing Medical Education) hours. Some of the topics covered were: Heart Failure Treatment Guidelines 2016 (Dr. Anil Kumar- Lead Senior Consultant & Interventional Cardiologist, Aster Medcity); Percutaneous closure of VSD (Dr. Anil S.R, Senior consultant, Paediatric Cardiologist, Aster Medcity); Hybrid Treatment of Aneurysm (Manoj Nair, Senior Consultant, Cardiovascular Thoracic Surgery, Aster Medcity); Comprehensive management of Cardiac Arrhythmias (Dr. Praveen, Consultant Cardiologist & Cardiac Electrophysiologist); Onco- cardiology: the other face of cancer (Dr. Rakesh Gopal, HOD, Department of Cardiology, Aster MIMS); Minimally Invasive Cardiac Surgery (Dr. Mahadev Dixit, Senior Consultant, Cardiac Surgery & Chief of Cardiac Sciences, Aster CMI); Novel Mechanisms to lower cholesterol (Dr. T.M. Jaison, Lead Senior Specialist Cardiologist, Aster Jubilee Clinic, Dubai); ECG Directed Cardiac Therapeutics in the Modern Era (Dr. Anil Kumar and Dr. Praveen Sreekumar). Established in 1987, Aster DM Healthcare currently owns and operates a network of more than 290 plus units across the Middle East and India, covering an array of healthcare verticals including clinics, hospitals, pharmacies, and a modern medical city. These network units are consolidated under the brand names ASTER, MEDCARE, ACCESS, ASTER Medcity and ASTER MIMS. The multitude of health facilities that include 14 hospitals offer primary, secondary, tertiary and quaternary care in order to meet the requirements of people from a cross section of the society.